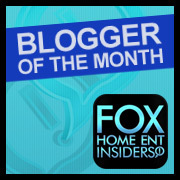 Did you know that I am a Goodwill Ambassador? I don't know if you remember my post a couple months ago about all the good that Goodwill does for our community. Goodwill helps people of different abilities find a place in today's workplace to help feel like contributors to society and have a sense of self worth. From physical therapy, occupational therapy, work skills, and more, the Goodwill helps everyone. Did you know they also help military families find jobs and support while their loved ones are overseas. By donating your gently used items you help others. Now The Goodwill of OC is giving back! 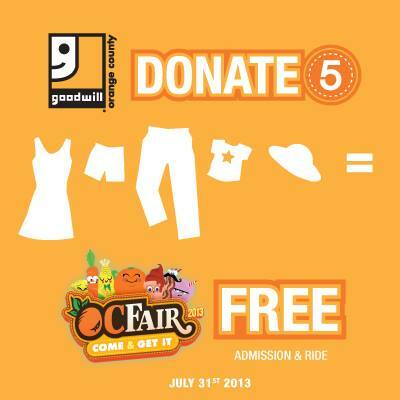 Donate 5 items at the OC Fair gates and you will gain free admission into the fair on Weds, July 31sr. Not only will you receive free admission, you will also receive a free ride, on the house! Goodwill appreciates all that you have done to support them throughout the years! Please continue to donate and take part of the latest efforts to help others and have fun doing it! DISCLAIMER: This is not a sponsored post. It is for informational purposes only. Do not use any pictures without permission!